Let it be known that I made it a respectable 12 days into October before going pumpkin crazy with our activities. Our little Olivia is going to be left out of the pumpkin decorating shenanigans this year, and despite our best efforts, literally could not care less about the adorable baby pumpkins we picked for her. But don’t you worry- I’ve got you covered Olivia! 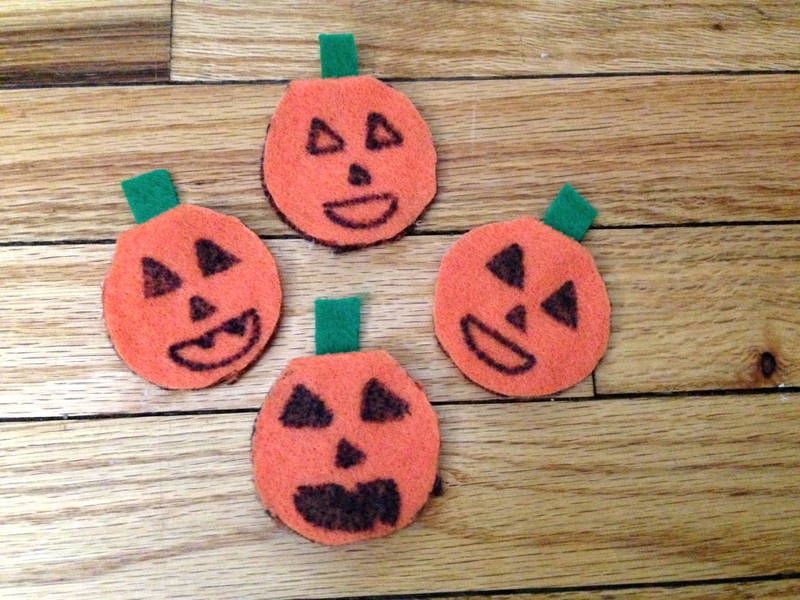 These adorable little pumpkin finger puppets are great for baby or toddler play! These couldn’t have been easier to make, and the girls loved them! 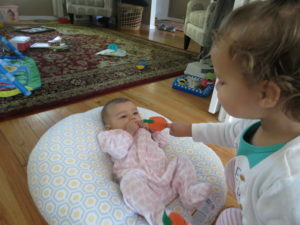 Olivia is at the best age for finger puppets (just about 4 months). 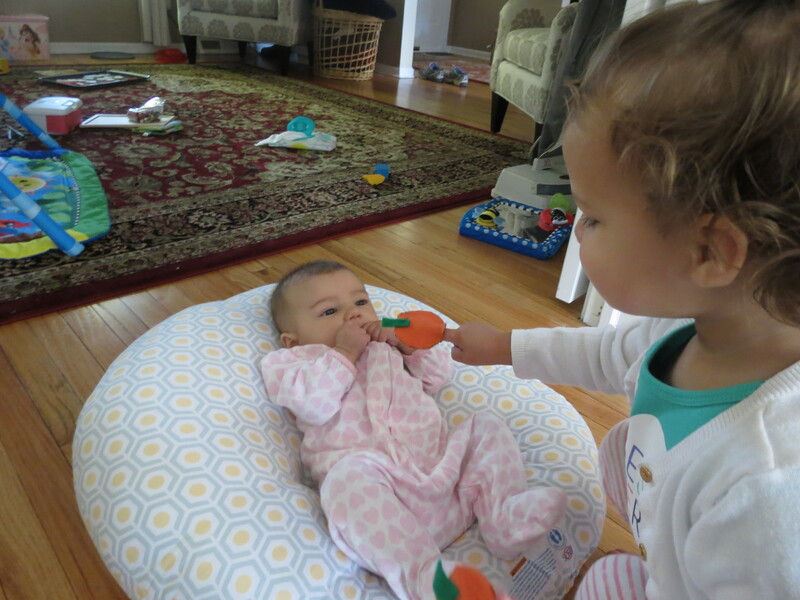 She giggles adorably when Layla holds them up for her and pretends to make them talk. It is also one of those rare activities that both girls are engaged in and enjoy doing together! We have a great little set similar to this one that we play with often. 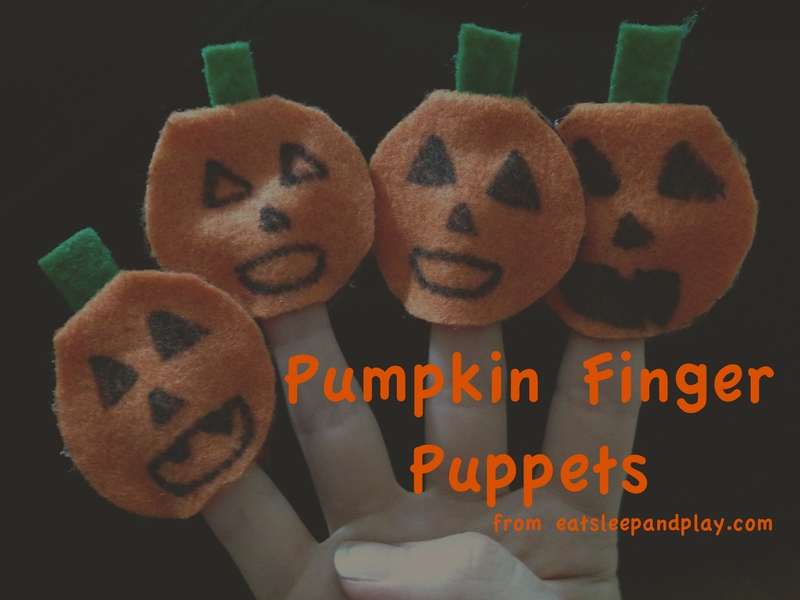 We put on puppet shows, use them along side books we’re reading, or just use them as tiny tickle monsters 🙂 The pumpkins are a great seasonal alternative to these, and cost less than a dollar to make. Place your finger on a piece of felt to determine how large you need to make your finger puppet. Assuming you don’t have abnormally large or small hands, the size of a K-Cup is actually perfect for this. 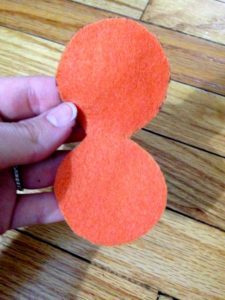 After you draw your circle, fold your felt in half and cut (so that you have two identical pieces connected at the top). Use your hot glue gun to seal down the sides of the pumpkin, leaving room for you to place your finger at the bottom. After the glue had cooled and dried, use a fine tip sharpie to draw a face, and added a stem with a piece of green felt. 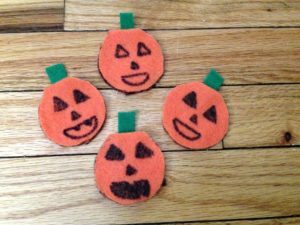 We’re still loving this activity, and are going to get into the halloween spirit by following these same steps to make ghost puppets!